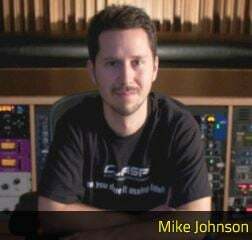 For several years, Mike Johnson, founder and chief engineer of Clear Track Studios, located in Clearwater, Florida, has been one of our top Recording Connection mentors. He’s helped many audio and music production students find their path and forge music industry careers of their own. Mike recently updated us on what’s been going on with his Clear Track apprentices lately. RRF: So who are your star students and what are they up to now? Mike Johnson: We have a student, Seth Hamilton, who is actually in session with one of our engineers as we speak, setting up a drum tracking session. He’s is a very positive young guy and works well with others. I’d like to see him do well in the future. Another student, Charity Bradley, has brought in, booked and run sessions for an artist she recruited. She’s a good student and I think she will pursue working in music to some degree. RRF: What’s new at studio? Any new additions, equipment, etcetera? Have any projects or collaborations currently in the works? Mike: We majorly upgraded Studio B this summer. It went from a minimally equipped production room and now it’s equipped with an Avid ICON console, SSL Bus Compressor, SSL Sigma Summing, PCM AB2s main monitors and more. Honestly, my favorite upgrade in Studio A this year is the “Dramastic Obsidian.” It is the most sonically noticeable improvement no other bus compressor I’ve ever used can beat. 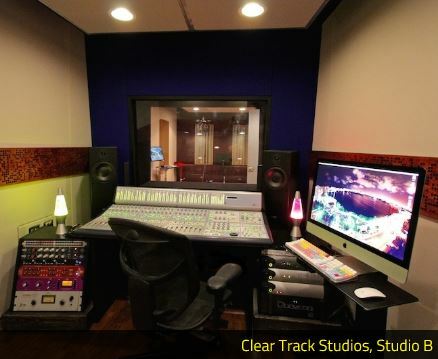 As for our current projects, there’s so many at Clear Track I can’t keep up with what or who it is we’re working with. I know we’ve got recent radio singles on the Billboard charts at the moment and that artists we’ve produced are signing deals, TV commercials and more. RRF: What’s your one-on-one approach to audio education? How do you keep apprentices engaged? Mike: Doing “exactly what we do” is what I find to be best for the students. For example, I’ll have them set up an entire drum mic/recording setup in the Studio A live room. I’ll have them do recall on the SSL and then zero-out the console afterward. These kinds of hands-on activities keep students interested and prepare them for the real world. The Dream Team’s Bayou Bennett and Daniel Lir hire apprentice Mike Dusenka!